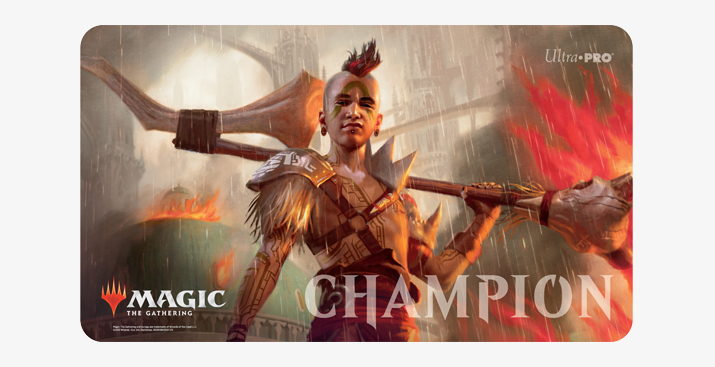 Last November, Ravnica Weekend for Guilds of Ravnica brought players back into stores around the globe during the mid-season, and reignited hype for all things Ravnica. Round two is coming up on February 16. It’s the second Magic Weekend. 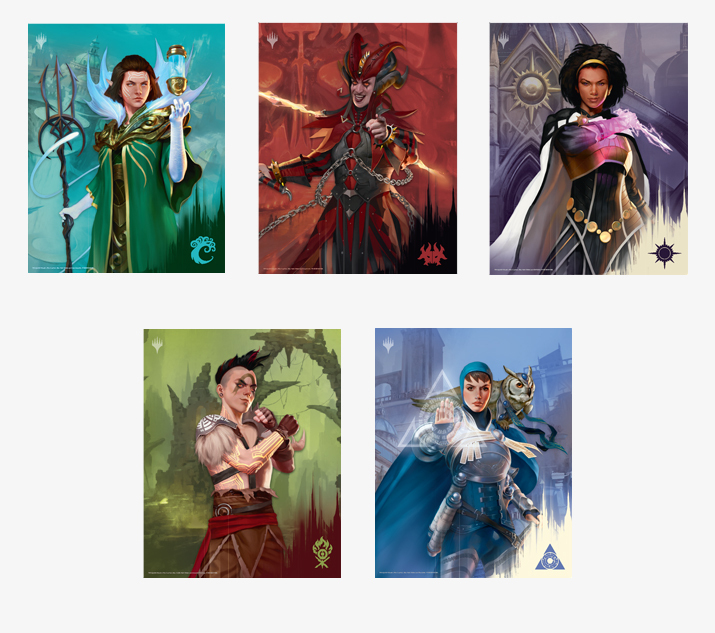 Ravnica Weekend for Guilds was the first and Ravnica Weekend for Allegiance will soon become the second of new event type: Magic Weekend, a rotating, quarterly, mid-season event. In a way, Magic Weekend is less of an event than it is a category of events. Think Battlebond or Conspiracy. We call products like these our “Innovation” SKUs—annual products that get to break the rules a little, that get permission to do things other products can’t. Magic Weekend is to your play area what Battlebond and Conspiracy are to your shelves. It’s our “Innovation” event: a space for us to experiment, once per season, with new ideas, formats, even prizes. The features will be new each time, including the one coming up on February 16. 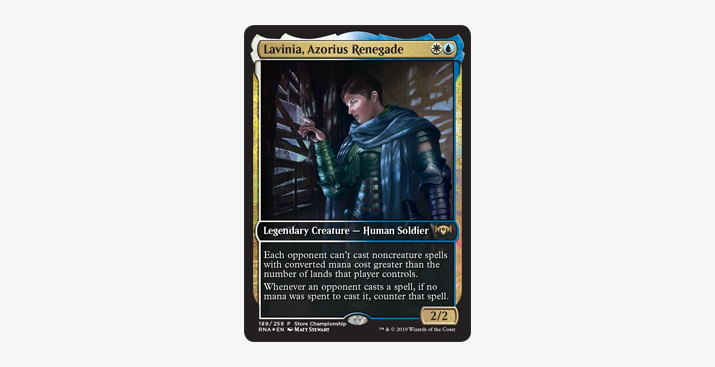 For Ravnica Allegiance, your main event will be a tournament—at least three rounds, at least eight players, etc.—in Standard, Draft, or Sealed. (You choose when you scheduled it in WER.) You can still do Guild Kit battles and D&D sessions, but, for the main event, the competition level will escalate a little. 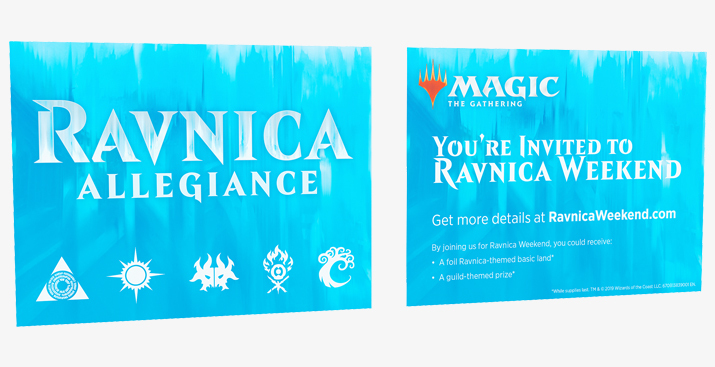 Check out the RNA Ravnica Weekend invitations we have in Marketing Materials—the same as the ones you got in your Prerelease kit. Invite players to your store by handing them out at your events leading up to Ravnica Weekend. It's got a huge event kit. Featuring Domri Rade from the Gruul Clans. Award this to the winner of the tournament. 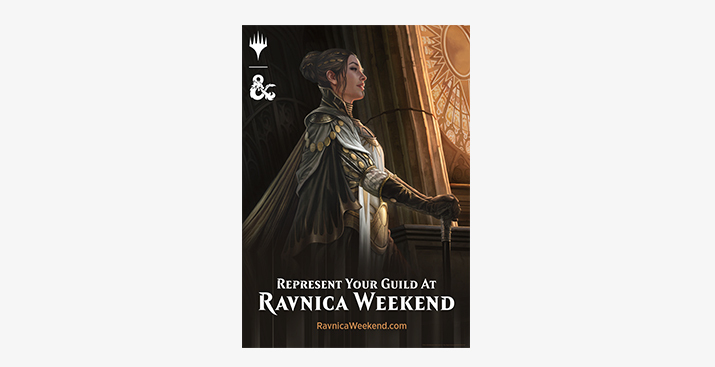 Hang this in your store to let players know you’ll be participating in Ravnica Weekend. Issue these to participants of the event. Consider passing them out for sportsmanship behavior or creative deck-building. Issue these as participation promo to folks who play in any of your Ravnica Weekend events. Now players can finally get their hands on these beautiful lands. 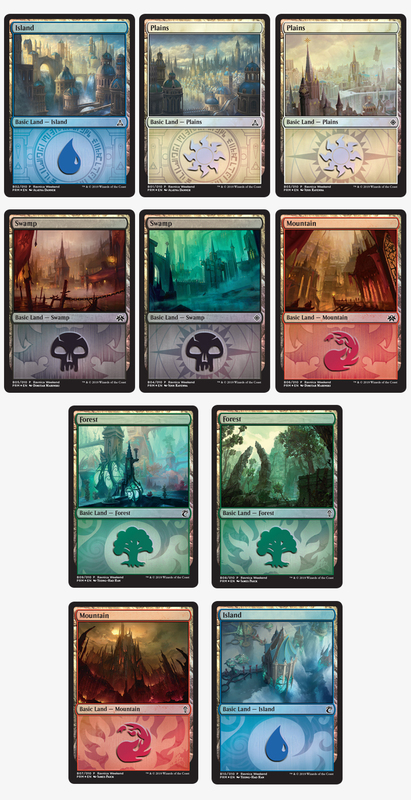 You’ll receive lands themed after the guilds in Ravnica Allegiance—Azorius, Orzhov, Rakdos, Gruul, and Simic. You'll get a unique D&D adventure to run. And don’t forget to reach out to your Dungeon Masters ahead of time so you’re prepared to run games. Ravnica Weekend is ready to provide players with a tournament experience and sought-after prizes in the mid-season. Make sure you’re ready!